There’s no place quite like the gorgeous coast of southern California, and you won’t find a better deal on a luxurious vacation home than when you shop on the secondary market. 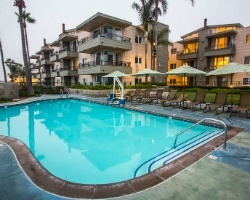 SellMyTimeshareNow.com offers Carlsbad Seapointe Resort timeshare resales and rentals at up to 70% off the retail price. What’s My Carlsbad Seapointe Resort Timeshare Worth? Bathe in the natural beauty of Carlsbad, California. This renowned area of San Diego is known for its breathtaking sandy beaches, wide variety of restaurants and cafes, and popular North Country attractions such as LEGOLAND California Resort, SEALIFE Aquarium, and more. Located right in the heart of it all is Carlsbad Seapointe Resort, one of the most celebrated family-friendly resorts in the area. Located in the quaint village of Carlsbad along the Pacific Coast Highway, the resort offers the perfect homebase for your vacation. 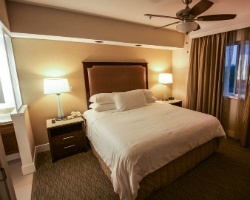 Enjoy the elegance of a one- or two-bedroom condo suite at the Seapointe Resort Carlsbad. Offering an atmosphere that is spacious and bright, these suites feature a breathtaking view of the garden and the glorious horizon perfect for watching the sunset. 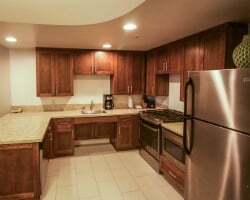 Each suite features essential amenities such as air conditioning, a furnished balcony or patio, cozy fireplaces in the living room, kitchens fully equipped with modern appliances, and so much more. Your Carlsbad Seapoint Resort timeshare resale will offer roomy accommodations with spacious living rooms and full-sized bathrooms, perfect for your next family adventure. Are you ready to find your dream accommodations? Fill out the form or call a timeshare resale specialist at 1-877-815-4227 to inquire about a timeshare unit at the Carlsbad Seapointe Resort. 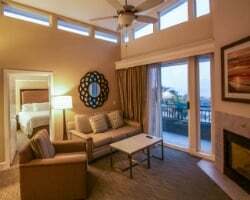 Purchasing a timeshare at the Carlsbad Seapointe Resort Carlsbad CA on the secondary market will secure a week's worth of vacation annually or biennially, guaranteeing yourself a fantastic trip at thousands of dollars off. At SellMyTimeshareNow.com, we offer advertisements for timeshares for-sale-by-owner. Purchasing your property through the owners, and not by the resort itself, will ensure you’re only paying the fairest market price for that property. Avoiding the hidden fees added in by the developer will save you as much as 70% below retail costs. Enjoy flexible vacation options when you browse through our available Sea Pointe Carlsbad ownerships. Choose between secure and consistent accommodations with a deeded fixed week or flexible and fluid vacation options with a floating week. No matter what your preference, you’ll garner unbelievable savings that you can then put towards building your itinerary with Carlsbad’s best attractions year-after-year. Carlsbad Seapointe Resort is affiliated with Hilton Grand Vacations Club, one of the most celebrated timeshare brands in the industry. HGVC accommodates to resale owners by implementing very few restrictions on resale buyers; you’ll share many of the same ownership benefits as those who pay through the resort itself. You can start making reservations at the Carlsbad Seapointe Resort immediately after you acquire your ownership, or you can use HGVC points to reserve time at Hilton resorts located across the globe. Owning a Carlsbad Seapointe Resort timeshare resale will afford you the luxury to expand your vacation options beyond traditional ownership. Exchange your timeshare resale through the world's largest timeshare exchange network, RCI. For an additional annual fee, you may use your ownership suite to exchange with stays at new destinations around the world any year you choose. All you’re required to do once you obtain a membership with RCI is pair it with your Seapointe Resort Carlsbad timeshare, and you can start swapping your accommodations. Sea Pointe Carlsbad boasts a Gold Crown rating from RCI, allowing owners to acquire accommodations at similarly rated, world-class resorts ensuring they receive the same level of quality service they’re used to. Surrounded by the relaxing tropical foliage, the Seapointe Resort Carlsbad offers a plethora of amenities and activities including barbecue grills on the outside patio, fitness, center, tennis court, two jacuzzis, and two adult and family pools. The resort allows owners to access complimentary pool and beach equipment for rent in the activities center. Unwind on the putting green on the resort. Carlsbad is home to a rich culture, and in its village you’ll find all sorts of cafes, restaurants, pubs, galleries, historic homes, and more. Of course, Carlsbad offers an enormous stretch of beach along the Pacific Ocean perfect for water-activities and relaxing on its sandy shores all week long. If you’re looking for a city with a little more of a pulse, San Diego is less than an hour drive south, and buses are available on the trip. Already Own at Sea Pointe Carlsbad?